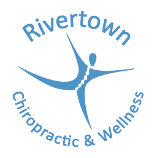 At Rivertown Chiropractic & Wellness, your health is our number one priority. We take our chiropractic services very seriously and strive to deliver our best at all times. Our Chiropractor in Stillwater, MN has been practicing for the past 20 years and has all it takes to put your chiropractic issues to sleep. Our state of the art equipment has been in the spotlight for all the right reasons.